Chakras are the "energy centres" within our bodies, often described as spinning wheels or vortexes of energy. The word chakra is derived from the Sanskrit word meaning "wheel" or turning" and there are seven main chakras in the body. As you can see from the below diagram, each chakra has a certain function and in this way, it is best if we can achieve balance across these seven main energy centres. - What are the chakras? 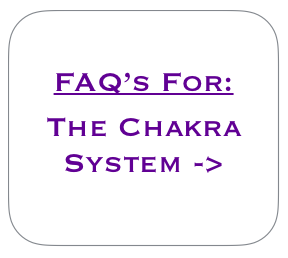 - How do the chakras relate to our health & wellbeing? - What do each of the chakras represent? - Are there more than seven chakras?